Centipede Press will publish a new Enderverse novella written by Orson Scott Card in conjunction with the publication of an Enderverse short story anthology. 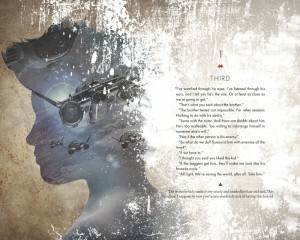 In October, the company published an illustrated edition of ‘Ender’s Game’. Fan enthusiasm for the publication inspired new Ender projects, but developments have been quiet since December. In a newsletter sent on Sunday, Centipede Press wrote that they acquired the rights to ‘Speaker for the Dead’ and a “massive collection” of short stories including a new novella. No details were given about this novella or where it would fall on the complicated Enderverse timeline. “This is still a ways off from being done, but we wanted to pass on the good news,” the newsletter states. There is no release date for either publication, but until then Centipede Press would like fans’ help. They would like to hire a illustrator for the projects and they are open to fans’ suggestions. Please send your suggestions to jerad@centipedepress.com. Update: We have confirmed with Centipede Press that ‘Speaker for the Dead’ and the short story collection will be two separate volumes to be published at roughly the same time. The yet untitled short story collection will include all the short stories and novellas to date and one new novella, which is also still untitled.